Plus, a lesser amount of worlds, but with greater depth? More new information about Kingdom Hearts III has come out via Game Informer and GameSpot with director Tetsuya Nomura following Square Enix’s announcement of a 2018 release window and Toy Story world. If you missed it yesterday, Nomura discussed a second playable character, bigger parties, the inclusion of a Toy Story world, and more. 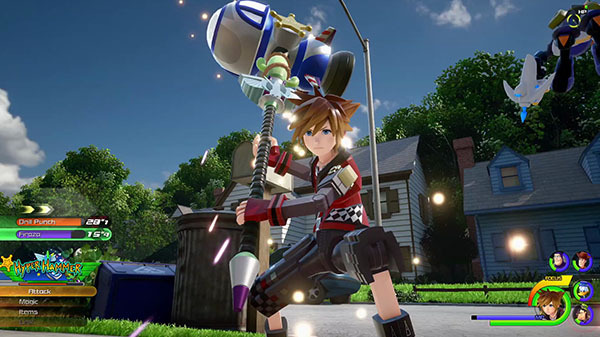 Today, Nomura discusses details about why development has taken so long, keyblade transformations, downloadable content, and more. He also hints at the game having a lesser amount of worlds than previous entries, but with greater depth. “A lot of people have been mentioning and making it sound like ‘Oh, Nomura’s taking too much time,’ and it hurts,“ Nomura said. He continued that the decision to switch development to Unreal Engine 4 was made by those higher up than himself after about a year of development, which caused extensive delays. Certain timing and resource-related challenges within Square Enix also played a role. Nomura emphasized that the long development period was not a result of development problems or decisions made by him or his team. “I wanted to emphasize that it wasn’t a problem on our development teams,” he said. “It just happened that way, and there were some decisions that the company had to make, and it just didn’t work out for certain timings that we were hoping to hit.